This gorgeous seafoam green stretch bracelet features all one of a kind faceted agate semi-precious stones and includes a zen-inspired charm of your choice. 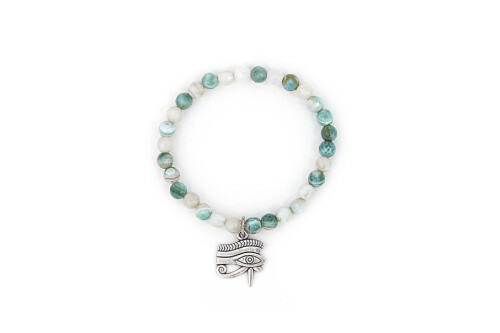 This bracelet features our silver Eye of Horus charm. Perfect for mixing and matching with other stretch bracelets in our Spa capsule collection for a chic Bond Bombshell look that will take you from day to night. Handcrafted on a US barrier island. Inspired by Waikiki Beach in Hawaii. The agate aids in balancing emotional, physical and intellectual energy. It helps in balancing the yin and yang, the positive and negative forces of the universe. 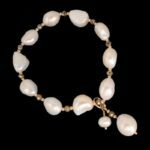 Create your very own custom Waikiki mint Agate stretch charm bracelet by choosing your favorite charms. 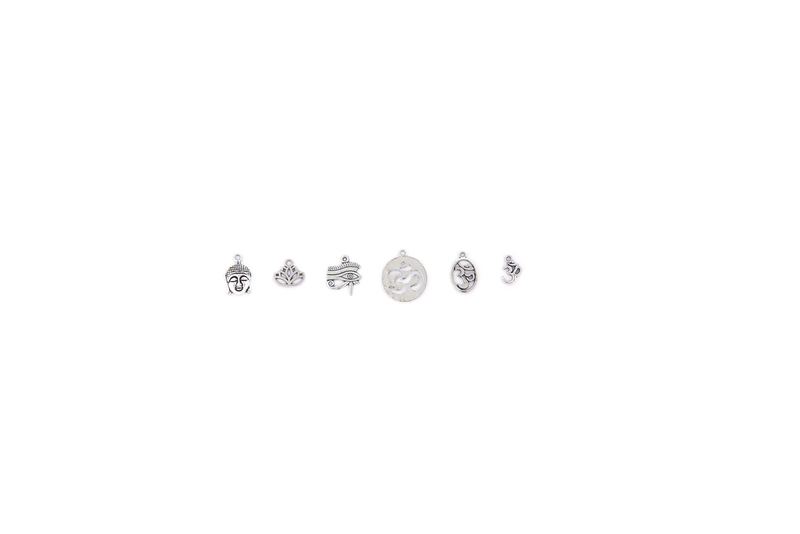 Stack them for the ultimate in spa jewelry glamour.